3 Bedroom Terraced House For Sale in Gwynedd for £192,500. Four affordable new homes to be released on this much favoured residential complex. Harbour Mews is the site of the old Harbour Hotel, in a central position in Abersoch Village. 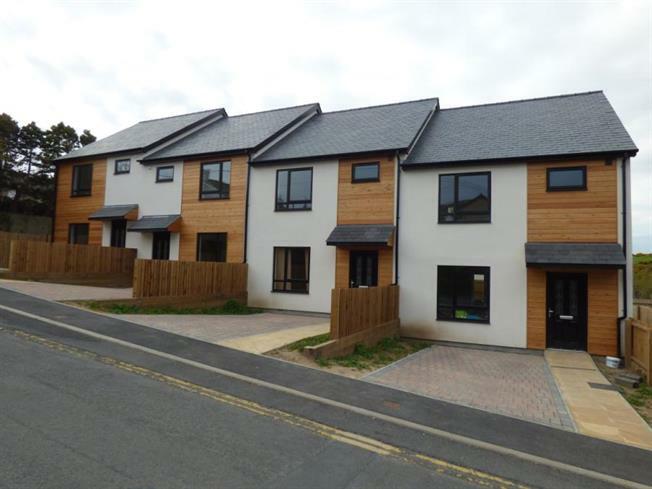 This is a release of four terraced 3 bedroom houses, fronting onto Lon Engan. The houses can only be occupied by parties meeting the criteria of the section 106 planning condition for local affordability and cannot be used as a second home or for holiday letting. Harbour View is a beautiful collection of new homes built to an exceptional standard with careful attention to detail throughout. The village amenities are a short stroll away with an excellent array of shops, cafes and restaurants, with several beaches and sporting activities. For further information and to inspect the plans of the proposed layout, contact the Agents Abersoch Office.